Home » Box Office » Uri: The Surgical Strike Box Office Day 26: Countdown For The 200 Crore Club Begins! What would be interesting to see is how does Vicky continue to bring in added successes from this point as stakes would be really high for his films that would release next. Uri – The Surgical Strike Box Office Day 26: It is staying on to be super stable at the Box Office and this is a regular story of everyday now. On Tuesday, the film added 2.61 crores more to its kitty and that has elevated the film further to 195.49 crores. If the film doesn’t see any fall today and tomorrow then entry into the 200 Crore Club is a definite possibility before then next weekend itself. This is clearly the biggest success ever for a newcomer leading man since one can remember. In fact if one compares this with a debut affair then Hrithik Roshan scored such a high when his Kaho Naa Pyaar Hai released. 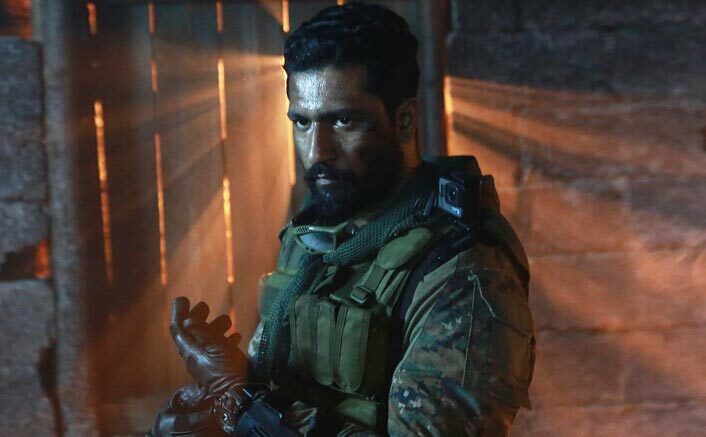 That said, Vicky Kaushal has done a few films before but this is the first one where he is running the film on his shoulders with director Aditya Dhar calling the shots.